This past weekend was FULL! We have tons of family visiting and my oldest and best friend is also in town this week, so we’ve been popping from one event to another. The fun thing about living in Florida is that everyone comes here for Spring Break. And that means I pretty much get to see all my favorite people who live outside of the Sunshine State in either March or April, which I love! Yesterday afternoon I turned to Ryan and said, “wait, what?! How is it Sunday? I’ve gotten nothing done!” We currently have piles of clean laundry on our bedroom floor, (Dolly has already sifted through said pile and has hidden all the socks around the house). We have groceries to buy, and countless other weekend chores to-do, but honestly, I wouldn’t have it any other way. A weekend with my favorite people is the best kind of weekend. 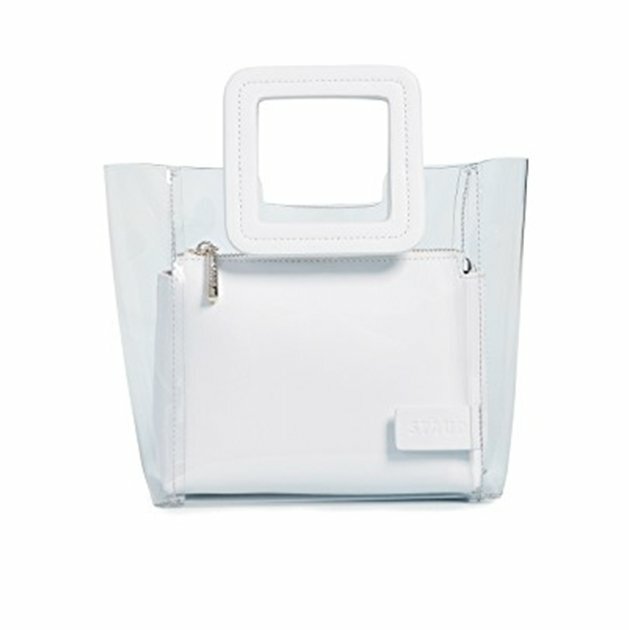 I’ve been looking for a good white bag that wasn’t too “cutesy”. You know what I mean… One I could wear with both dresses and slacks… and then I found this one and fell in love. It’s retro, easy to carry, and seems to go with everything. I’m totally obsessed with it. Bring on the Spring florals! 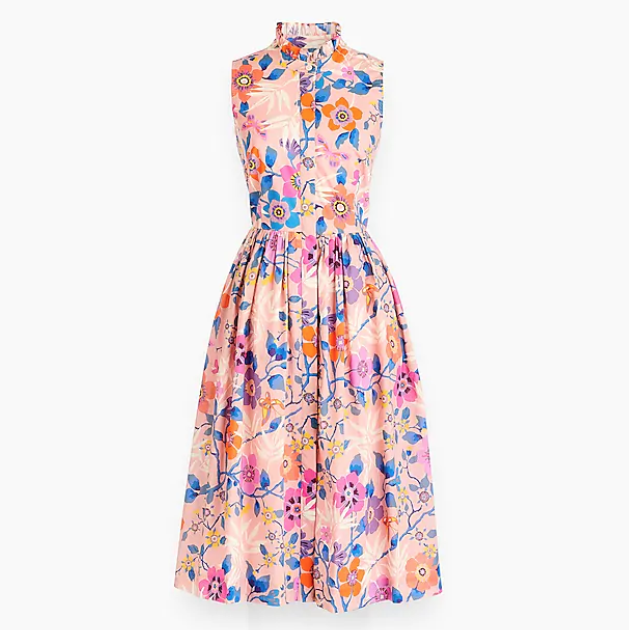 I was browsing J.Crew yesterday and stumbled across this dress and instantly put it in my cart! Although, to be honest, I totally have a shirt-dress addiction. I can’t get enough of them. I just bought this last night and I think it may just change my life. A travel makeup mirror that works!? YES. PLEASE. No more sitting on the floor in a weirdly lit hotel room trying to make sure that one eyebrow isn’t darker than the other (true story…). GAME CHANGER. 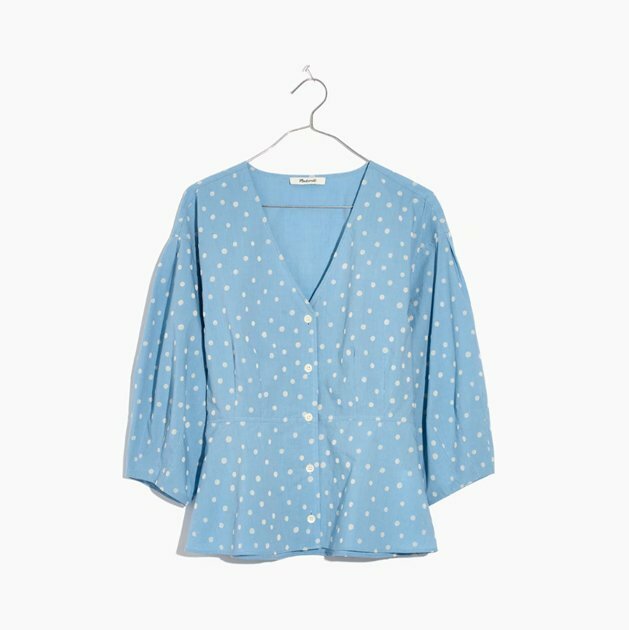 Over the weekend my Madewell order came in and there are a few things I’ll be returning, but this blouse is not one of them! 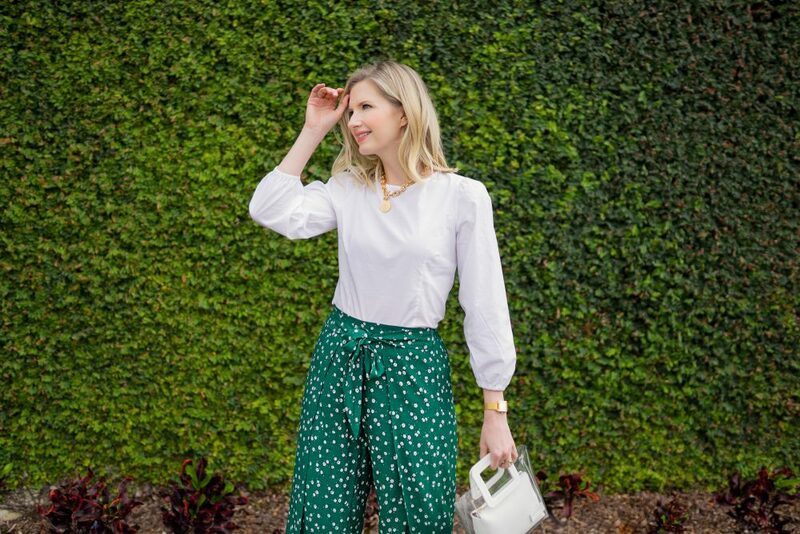 It’s so perfectly adorable with the polka dots and will pair so well with my pretty new white bag! I ordered it in a size 2 and it’s a dream. 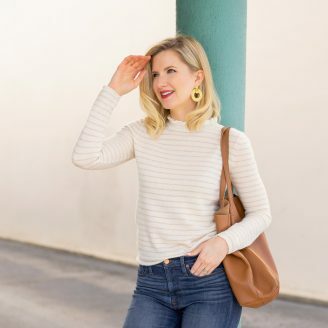 My friends over at Halsbrook sent me these gorgeous earrings and I’ve been wearing them non-stop… and can’t recommend them enough! They are perfect for everyday but also definitely work for evening! 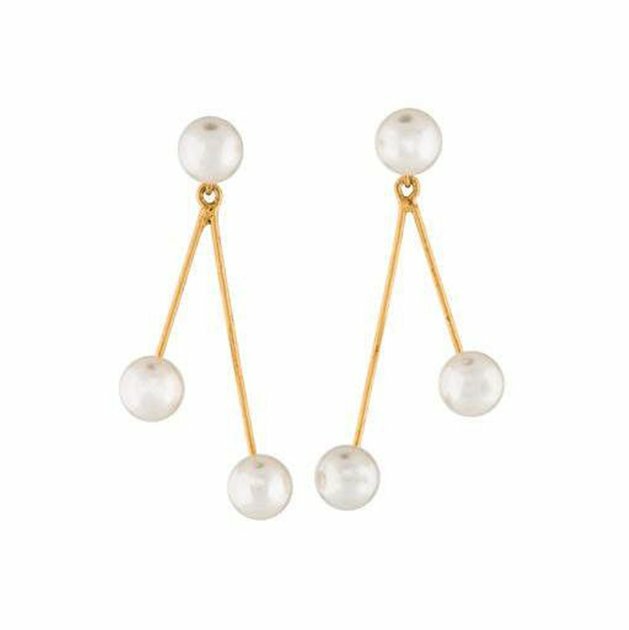 Such a fun, simple, and classic statement earring. Next Post Headbands, Let’s Wear Them! I think that makeup mirror may be a game changer for my every day life! I use the weirdly lit bathroom mirror and it’s so challenging! Thank you for the wonderful finds! Right?! I’m just so excited about it! LOVE that blue blouse! I can’t wait for it to really warm up here in MI! 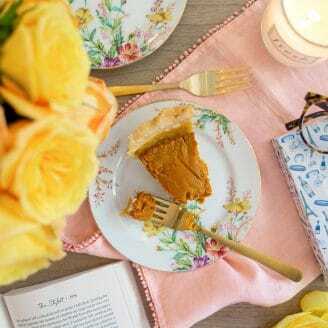 The best kinds of weekends are when you throw out your to-do list and forget about it until Sunday night! 🙂 That travel makeup mirror looks like the perfect thing to pack on my upcoming California trip. Such a great find! Karly, I totally 1000% agree! 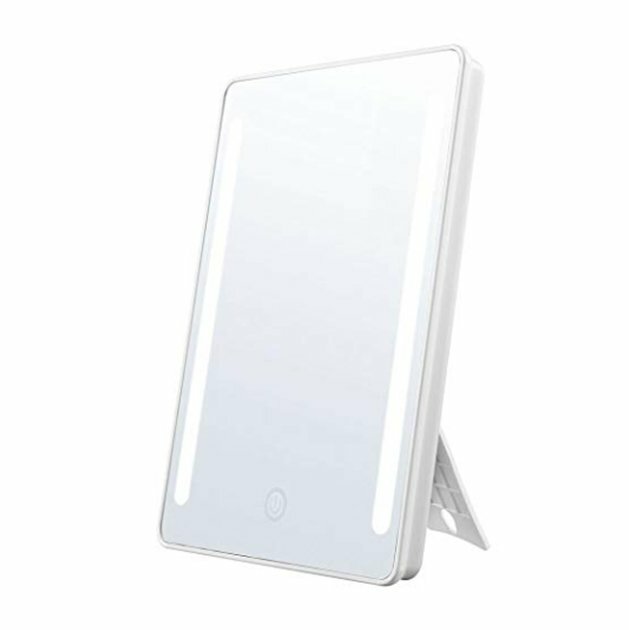 Also, get that mirror! Game changer!